Civil society actors play a vital role in countries affected by fragility, conflict and violence. This policy brief by INTRAC Associate Didi Alayli draws on learning and evidence from an evaluation commissioned by the British Council of their work with a network of Syrian activists called Mobaderoon (‘initiative takers’ in English) which grew out of its Active Citizens programme. 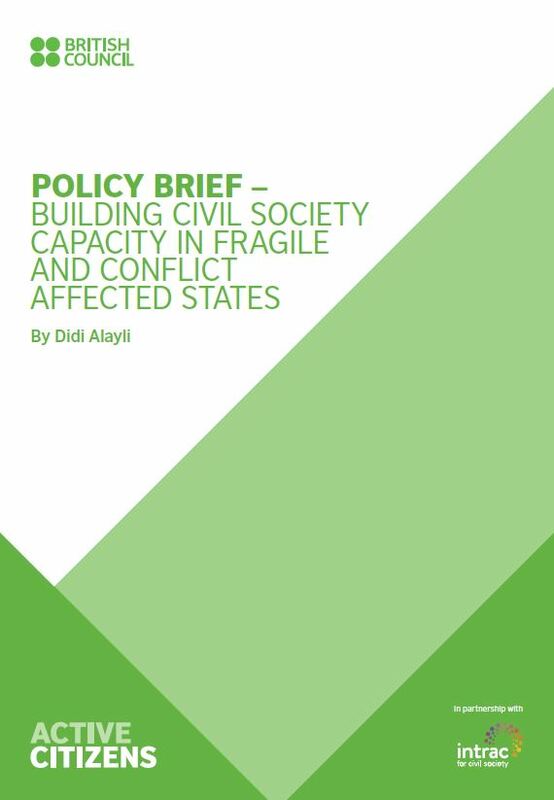 It will argue that the growing challenges of working in fragile and conflict-affected states, which defy conventional interventions, necessitate a broader commitment to capacity development on the part of the international development community. Published by the British Council in partnership with INTRAC.